You can now purchase your certificates online! and more!!! Tickets valued up to $300 for a pair. Pricing starts at $39.00 per certificate. 3. 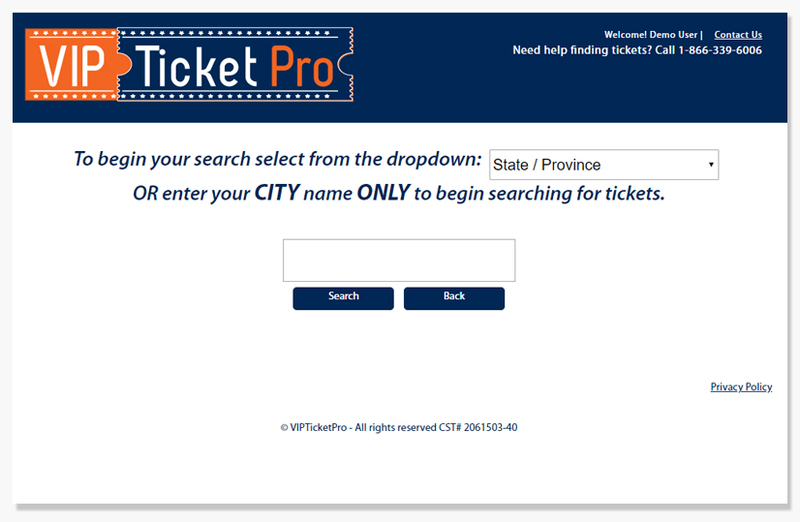 Click on ‘Promotional Ticket’ and follow the instructions. 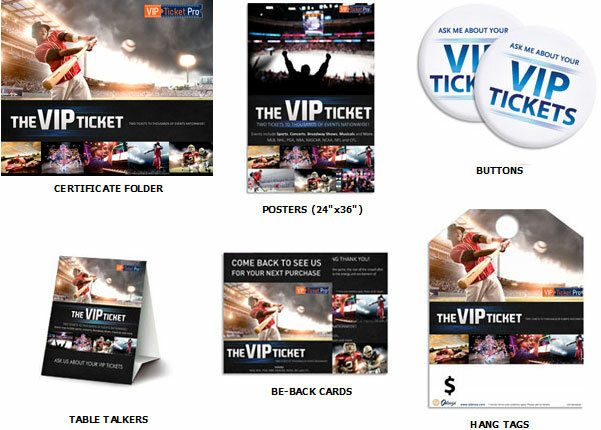 The VIP ticket package allows businesses to boost sales, bring in more customers, and gain an edge over competitors. Your customers will receive a high quality VIP certificate that gives them access to two tickets to an event of their choice, with a total value up to $300 for a pair of tickets. Prices from as low as $39.00 per certificate. No other program offers this much value. NHL, NFL, MLB, NBA, Nascar, NCAA, PGA, Broadways shows, major concerts, and more! There is something for everyone. We cover all major concerts and sporting events, which means you can give your customers the power to choose two tickets to anything their heart desires. Give your customers the thank you they deserve. Customers are responsible to pay a $50 refundable deposit to access the ticket inventory which they can request back after the event has taken place. The will also pay a $20 shipping & handling fee at the time of checkout which covers any fedex or processing charges. All payments can be made online. Simple. We provide you with the VIP Ticket certificates and FREE marketing material. You place the FREE marketing material in your showroom, we’ll give you images for your website and images and copy to incorporate into your existing advertising programs (i.e. newspaper, flyers, direct mail, radio, tv ads) or whatever you currently do. When the customer makes the purchase, you simply hand them the certificate – we take it from there. Our customer service department will take care of everything else beyond that point. 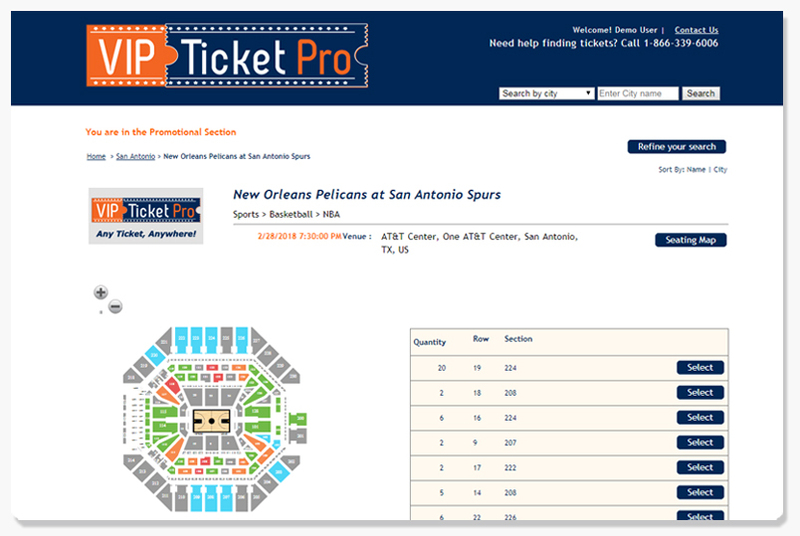 Our online system makes it easy for your customers to redeem their tickets. 1. Making sure the promotional certificate is the right one based on what you are trying to achieve, be it getting more referrals, closing more deals, or rewarding your staff for excellence.